Is a friendly organic family business, based out of Puerto Vallarta, Mexico. By personalizing them with a hand painted touch representing the Bride and Groom which makes them even that more special. A piece of art that your guests would cherish forever! 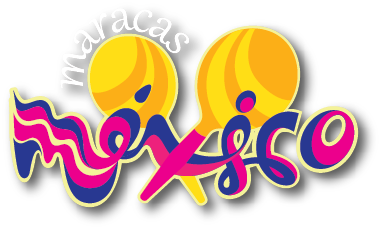 This confident and hard-working Co-ordinator, will be your first interaction with “Maracas Mexico” and will personally follow your orders through to fruition. Blanca will make your experience with Maracas Mexico, pleasurable and easy. Omars inspiration came from his love of art and nature, which led him to the unique and distinctive work with the “maracas”. Omar has spent countless hours perfecting the uniquely distinctive traditional maracas into a work of art. He is not afraid to use color, unless you are!! He will create and design from your inspiration or ours. Let your “special day” tell a story by giving a memorable and unique work of art! Omars inspiration came from his love of art and nature, which led him to the unique and distinctive work with the “maracas”. Omar has spent countless hours perfecting the uniquely distinctive traditional maracas into a work of art. He is not afraid to use color, unless you are!! He will create and design from your inspiration or ours. Let your “special day” tell a story by giving a memorable and unique work of art!